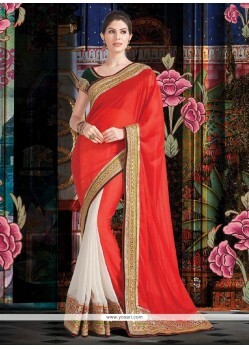 Extraordinary Red And White Silk Chiffon Saree. 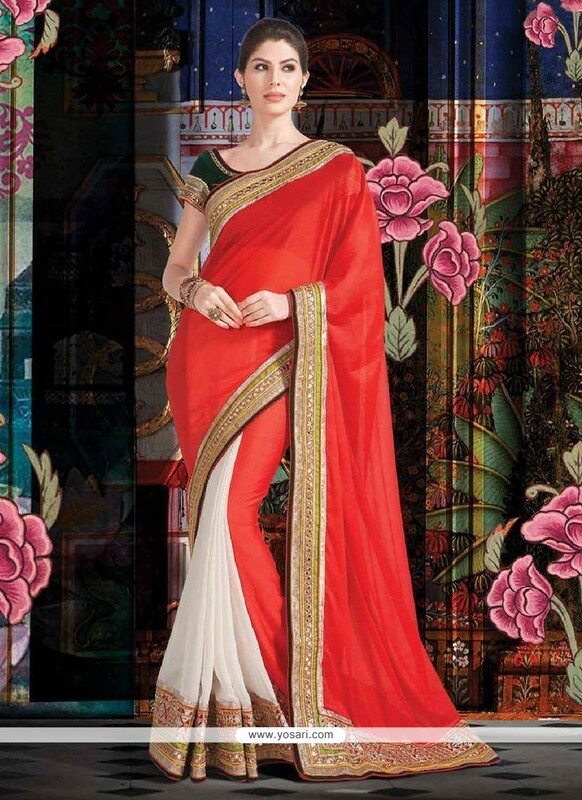 Extraordinary red and white color silk chiffon saree designed having with plain taxture, pita, zari and patch border work. Include with matching unstitched blouse. Its a pretty Silk saree for wear on Festival and Party. Silk Fabric and Red, White color Patch Border and Pita Work used to make this stylish Saree.